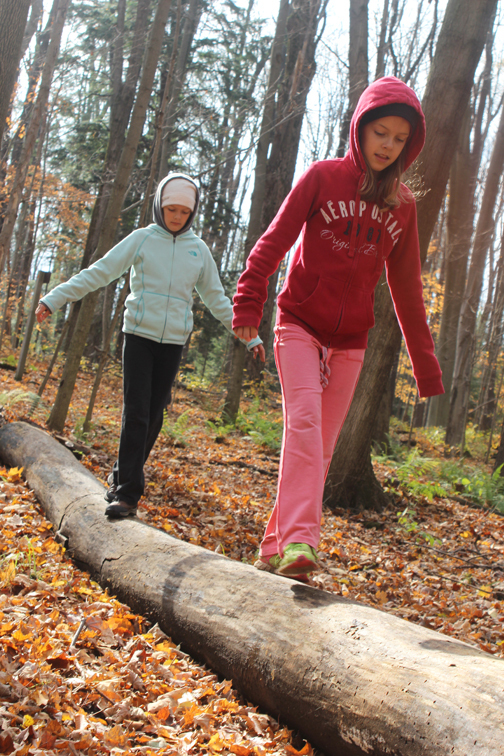 Did you know that Monday, November 17th is National Take a Hike Day? If it were up to me, I would dub every Saturday just that. 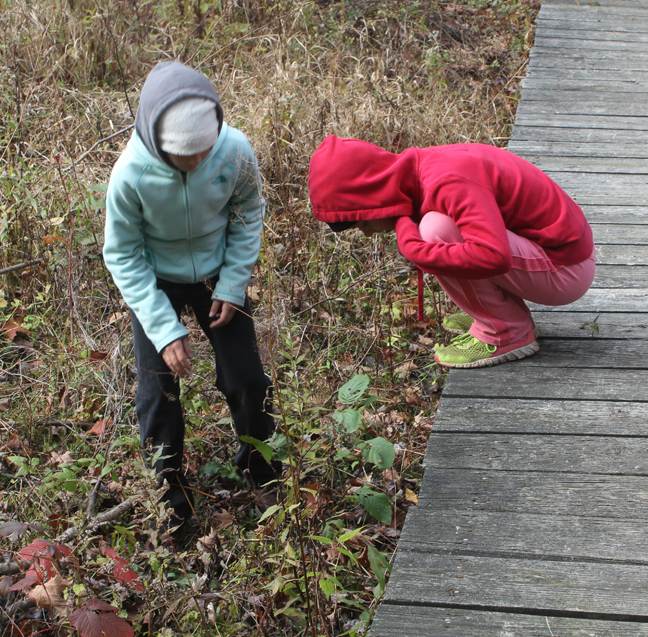 Unfortunately, life and bad weather get in the way far too much, and we end up having to carve out time for exploring new nature trails and hiking areas much less often than we would like to. 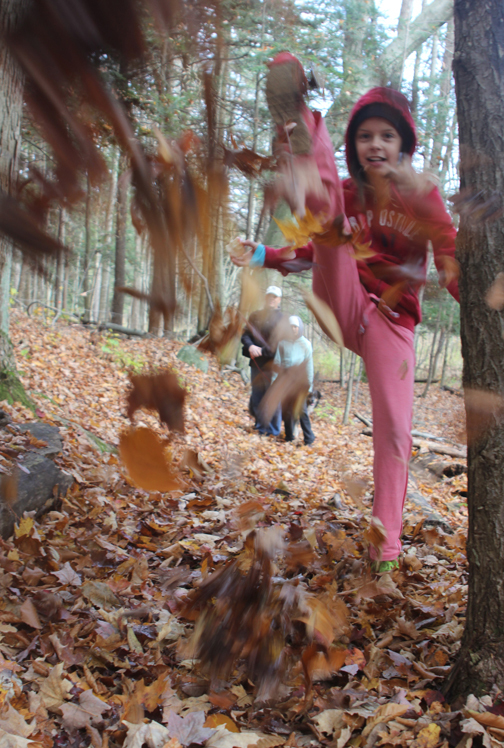 Our family bond is at its strongest when we are out in the woods together, having left behind all thoughts of homework, upcoming irish dance competitions, electronics, housework, to-do lists, and other distractions. 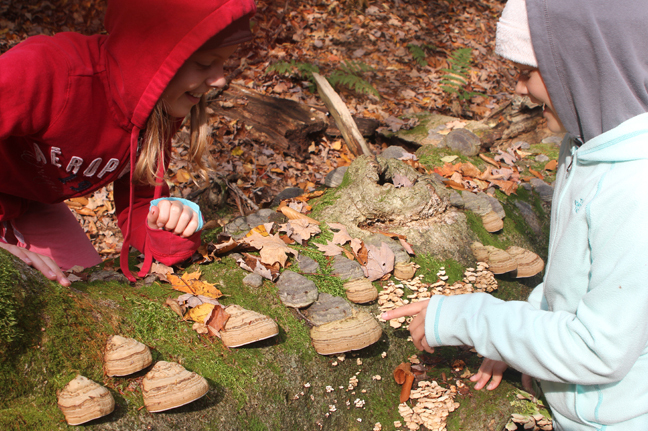 My dog is usually pulling my husband off ahead, while my daughters and I take our time, usually stopping just about every minute to get a closer look at mushrooms, fungi, acorns, tiny saplings, tree bark patterns, leaves of every shape, size and color, and seemingly every other bit of nature we pass by. 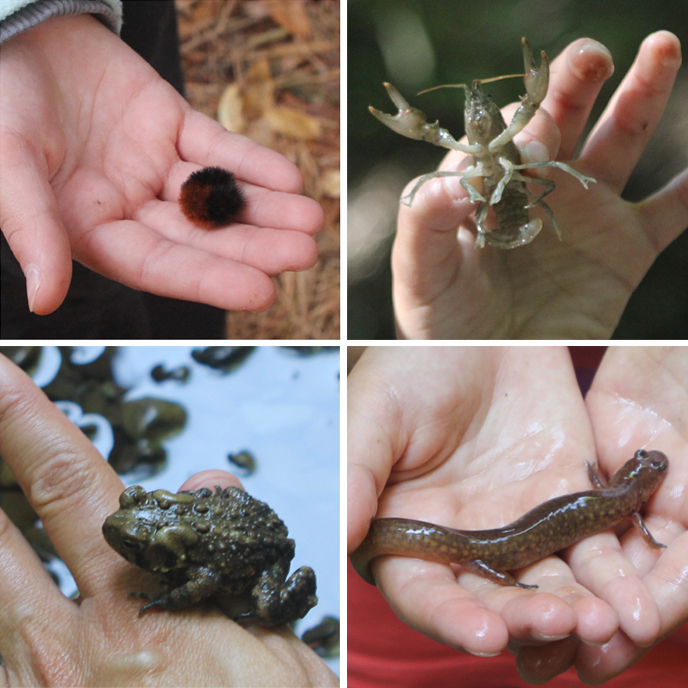 Our hikes aren’t the long, arduous ones my husband and I used to take back in Colorado or New Hampshire pre-kids, but our current hikes allow our girls the downtime they need to get their hands dirty, feet muddy and wet, and to just be out in nature and enjoying God’s creations without having to rush. Knowing we’re going to be outside for hours on end, we have learned to come prepared with plenty of water and g-free snacks. 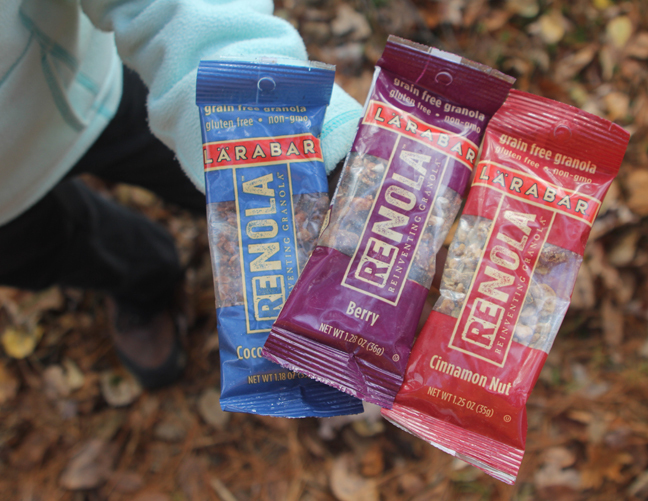 When LÄRABAR recently contacted me to see if I would like to try some samples of their bars and new grain-free granola, it seemed like the perfect chance for our family to sample the rainbow of flavors they offer. As you may or may not know, I have been grain-free for the past 6 weeks and have never felt better. I have left behind all of the nausea I’d been feeling for months, the accompanying stomach distress, and as a bonus: about 10 pounds as well! I’ve never felt healthier — along with less bloated, much less gassy and so much cleaner in my diet. The “old me” would have packed up a few Diet Dr. Peppers, juice boxes and bags of Cheetos & Doritos for a roadtrip (no lie) but the “new me” only craves healthy, whole foods & clean eating. Since I’m the one packing this stuff, the rest of my family benefits as well. LÄRABAR is the absolute perfect fit with my new healthier lifestyle, as their products are made from quality stuff and the best ingredients we can put into our bodies. Although these bars seem like they are a modest size, they really pack a punch when you consider how filling they are, and how much protein, vitamins and long-lasting energy they provide. Perfect for that extra fuel my family and I often need on our hikes. 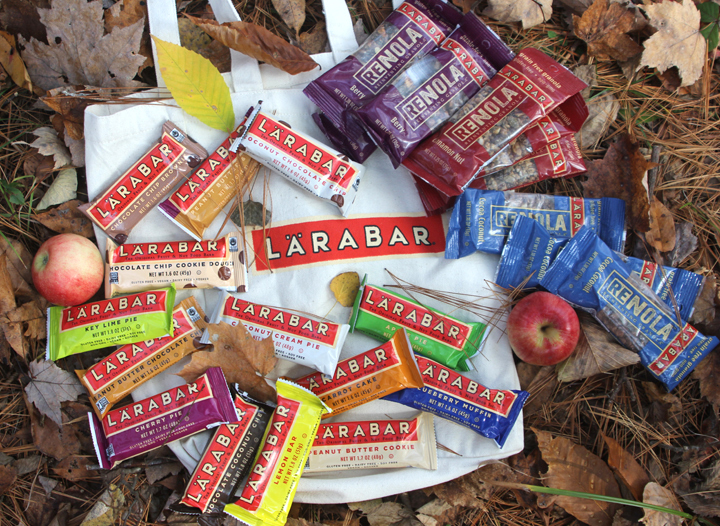 And as it turns out, LÄRABAR’s founder, Lara Merriken, came up with “a mountain of an idea back in 2000: to combine wholesome ingredients such as fruits and nuts to create a food product that’s tasty, healthy and convenient.” All of LARABAR’s products are made from 100% real and wholesome ingredients. Everything they offer is g-free, non-GMO and Kosher, with most everything being soy-free, dairy-free, and vegan as well. 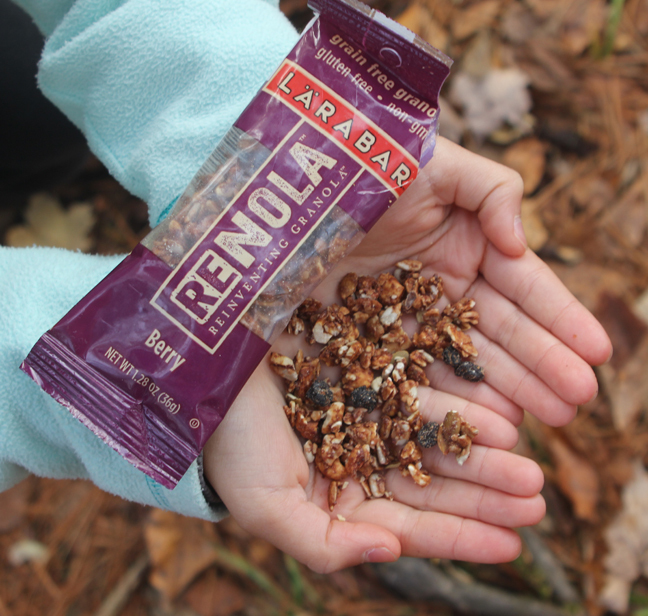 Besides being able to sample all of these bars, you can imagine how psyched I was (yes, there is still an 80’s girl inside of me) when I discovered that they also have a new grain-free granola called RENOLA. 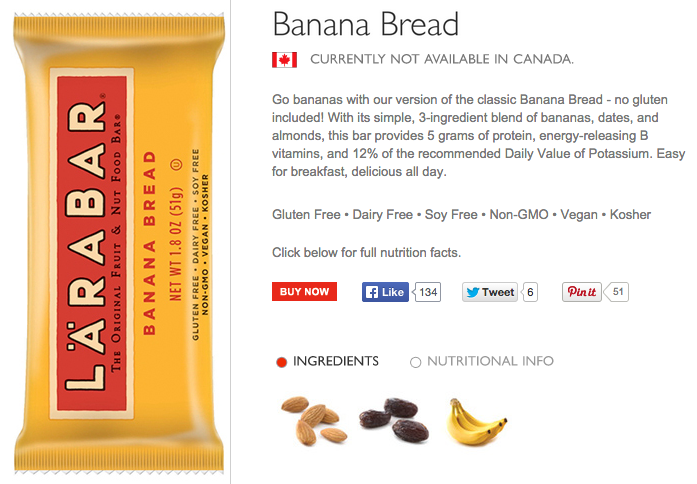 It comes in 3 flavors – Berry, Cinnamon Nut and Cocoa Coconut — and is a tasty mix of fruits, nuts and seeds. I was really impressed by all of these products, and LÄRABAR has definitely become my go-to brand for g-free snacking on the go. 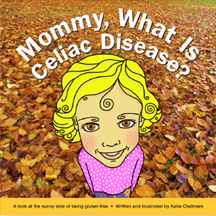 They are so easy to take on family hikes, or to just toss in my bag in case I get hungry when I’m out and about so I can stay on my grain-free diet and keep feeling good 24/7. As a special offer for you (on top of this awesome giveaway) LÄRABAR is giving gfreekid.com readers $0.50 off the purchase of any LÄRABAR. Get your coupon here. don’t know where to get em? find out here. 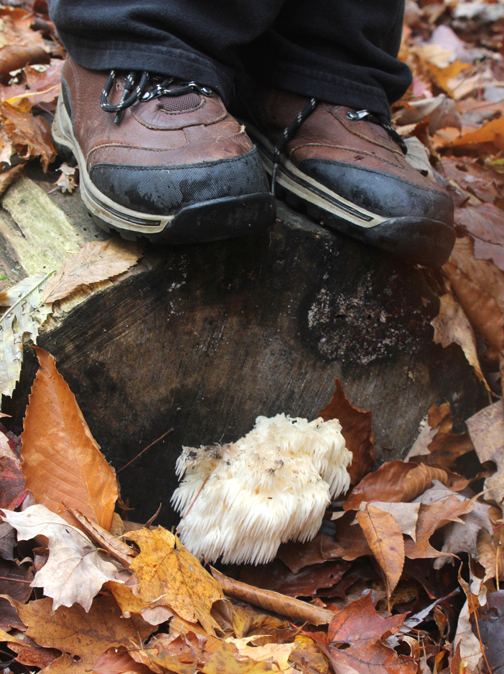 Remember: Monday, November 17th is National Take a Hike Day. 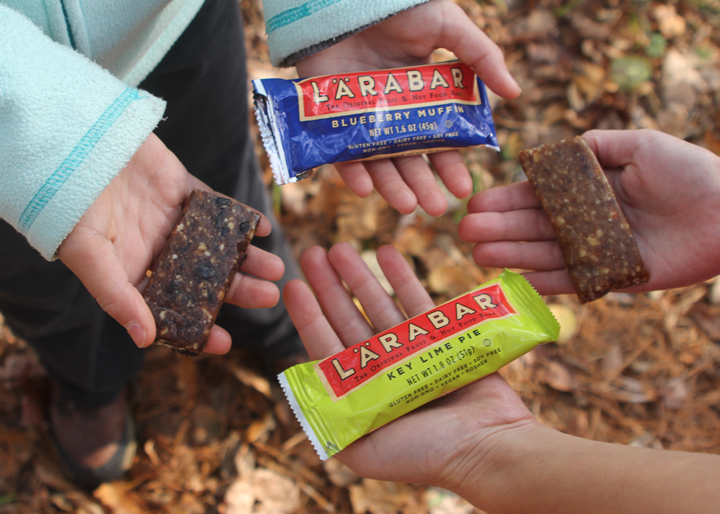 Join me and LÄRABAR by getting outside with your g-free kids and enjoying the gorgeous fall weather in your neck of the woods. Trust me: you and your kids will be glad you did. 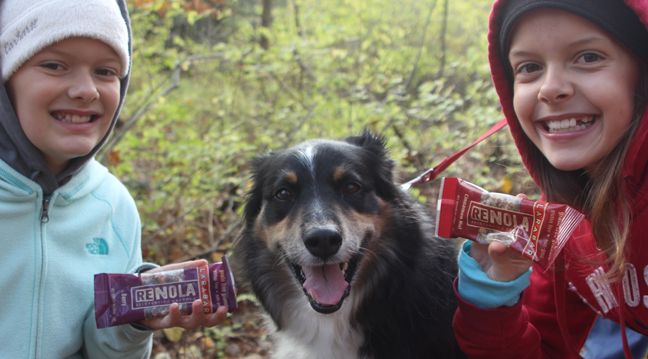 You can join in on the conversation by hashtaggin’ #getoutside and #eatclean. Want to win a LÄRABAR Prize Pack? 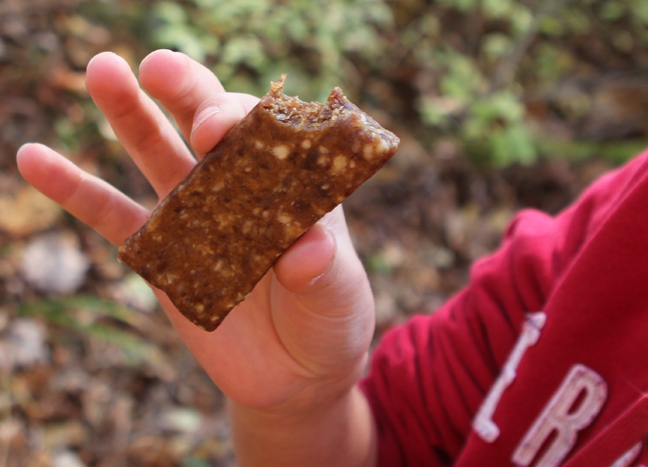 Is all this talk about LÄRABARs, RENOLA and hiking making you hungry? Open to 18+ year old U.S. residents only. Randomly chosen winner will be picked Monday, Nov. 10th at midnight & will be given 24 hours to respond before being replaced by another winner. Thanks to LÄRABAR for sponsoring this post and giveaway, and for fueling this hike and many in the future. HONEST opinions are completely from me and my family.